Kelly | Dorsey, P.C. was founded in 2011 by Attorneys Gerald W. Kelly and Gregory A. Dorsey. For 13 years, Messrs. Kelly and Dorsey proceeded on different paths in the private practice of law. Mr. Kelly, a former IRS Revenue Officer and Offer in Compromise Examiner, focused on servicing individuals and businesses with IRS audits, collection matters, and criminal investigations. 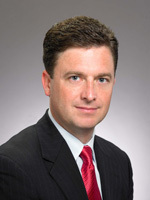 Mr. Dorsey, a former software developer and manager at a Fortune 500 company and numerous leading-edge technology firms, focused on servicing entrepreneurs and businesses in transactional and commercial litigation matters. When managing their own law firms, Messrs. Kelly and Dorsey recognized a synergy between their respective practices. In 2009, they capitalized on this synergy when their professional paths merged as partners in a premier Baltimore-based law firm where they continued to grow their respective practices while servicing some of the largest companies and individuals in the media, fitness, health care, technology, environmental, and commercial development industries. Having known each other since the early days of law school at the University of Baltimore in 1992, Messrs. Kelly and Dorsey decided to combine their gifts of advocacy and client development outside of the restrictions inherent in larger firms by establishing their own firm. The firm set out to practice law the way Messrs. Kelly and Dorsey have always practiced law with an unbridled passion to deliver focused legal solutions to the issue at hand while furthering the clients' overall business and life objectives. Regardless of the size of the adversary or amount in controversy, the clients of Kelly | Dorsey quickly discover the passion and prowess of its founders are enmeshed in each client engagement. With the Internal Revenue Service ("IRS"), as in life, most disputes may be resolved amicably and without going to court. Unfortunately, there are always those cases which require more effort, skill, and finesse. If you or your business is unable to resolve a tax dispute with the IRS, or you are unhappy with a decision you have received from the IRS, you require an attorney with the knowledge-base, experience, and skill to bring your case to resolution in an effective manner while achieving optimum results. The attorneys at Kelly | Dorsey have considerable litigation experience and an intimate knowledge of the process; we will doggedly represent, assert, and defend your rights without end to achieve your goals and bring you success. Over the years our attorneys have had the opportunity to litigate, negotiate, and resolve countless civil tax matters; allow our seasoned attorneys to leverage their acumen and skill in efficaciously achieving the results you desire. Mr. Kelly has devoted his legal career to representing clients entangled in major disputes with the Internal Revenue Service (the "IRS" ). He has represented businesses and individuals before the agency's collection examination, and appeals divisions. Additionally, Mr. Kelly represents clients that are the targets of criminal tax investigations. With over one hundred appearances in the United States Tax Court, tax litigation is a significant part of Mr. Kelly's practice. He has also argued before the U.S. Circuit Court of Appeals and appeared before the U.S. District Courts, where he has represented clients involved in a wide variety of civil and criminal matters. Mr. Kelly began his professional career with the IRS in 1991, where he was assigned to field offices in the Washington, D.C., metropolitan area. As a Revenue Officer, Mr. Kelly was responsible for civil investigations and enforcement actions. He was also trained as an Offer in Compromise Examiner and evaluated settlement proposals submitted by individual and corporate taxpayers. Mr. Kelly has appeared on ABC News concerning IRS procedures and has also provided commentary to CNN, The Washington Post, The Washington Times and other major news sources. Moreover, Mr. Kelly has served as a guest lecturer on IRS controversies at his alma mater, the University of Baltimore School of Law, and the Maryland Volunteer Lawyers Service. Mr. Kelly's commitment to his community extends to those those unable to afford an attorney. He has been honored with the Maryland Volunteer Lawyers Service Educator of the Year Award in 2008 and the Maryland State Bar Association J. Ronald Shiff Memorial Pro Bono Award in 2010. Mr. Kelly is a member of the Maryland State Bar Association Tax Council and is a member of its pro bono subcommittee. Mr. Kelly received the highest possible rating from his peers, and is AV rated by Martindale- Hubbell. He was also selected for inclusion in Maryland Super Lawyers for his peer-recognition and achievements in the field of taxation. Mr. Kelly is a faculty member of the National Business Institute and teaches continuing legal education courses on representing clients before the Internal Revenue Service. Moreover, he is consultant with the Borek Group, a firm that provides professional education to law and accounting firms.